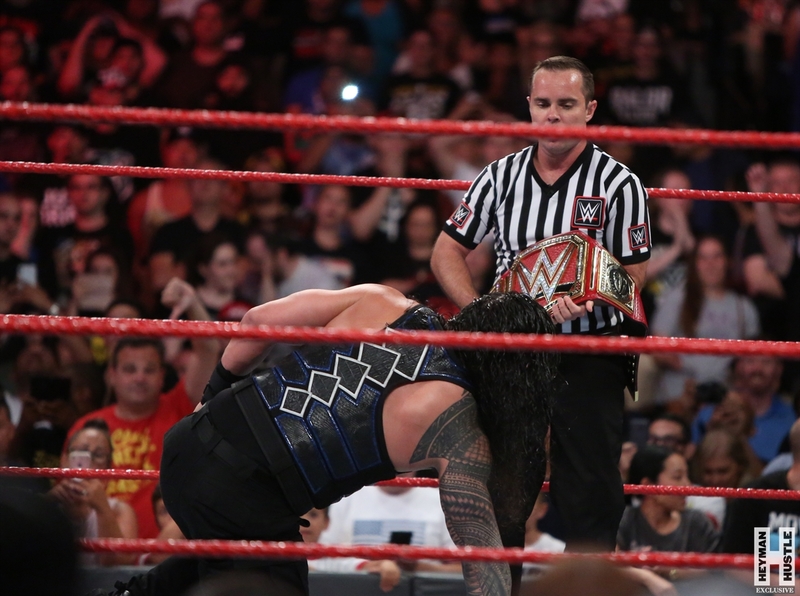 Just one night after Roman Reigns defeated Brock Lesnar for the WWE Universal Championship, the new champ proved to be a fighting champion … only he’s fighting multiple battles all at once! 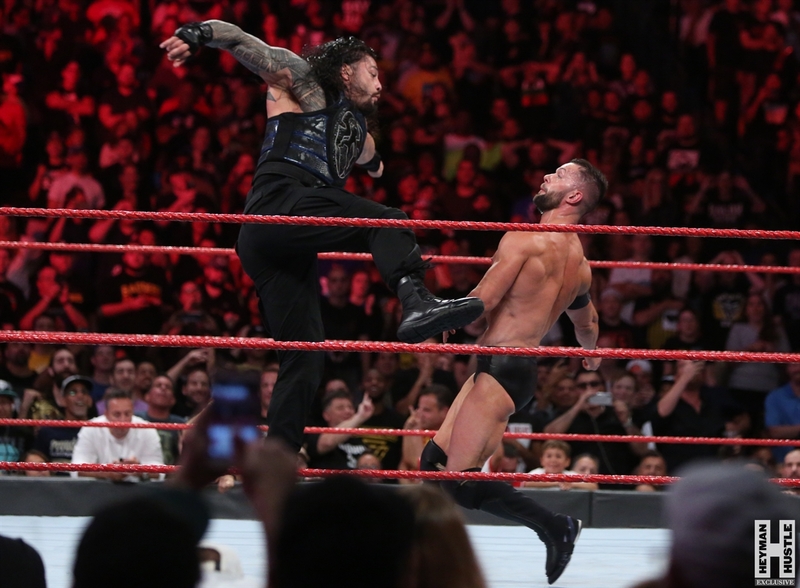 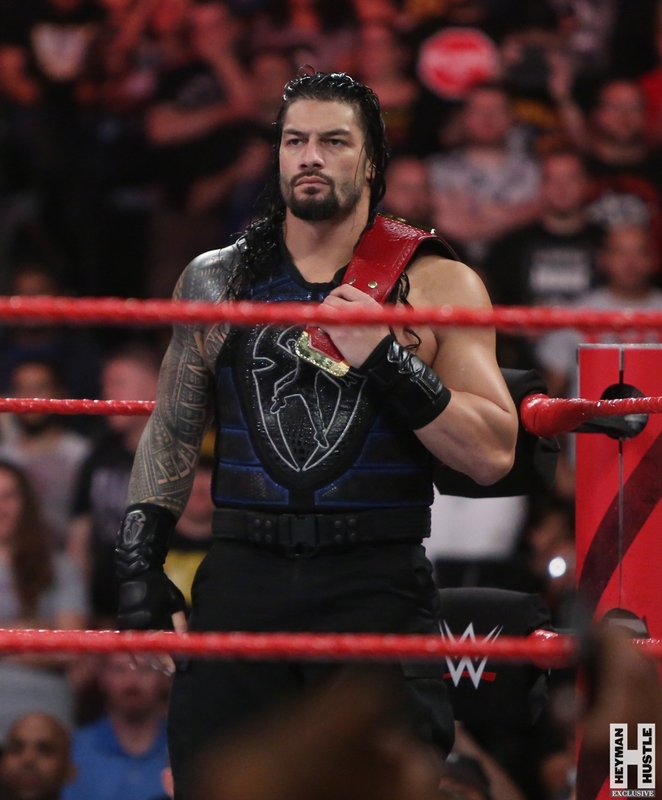 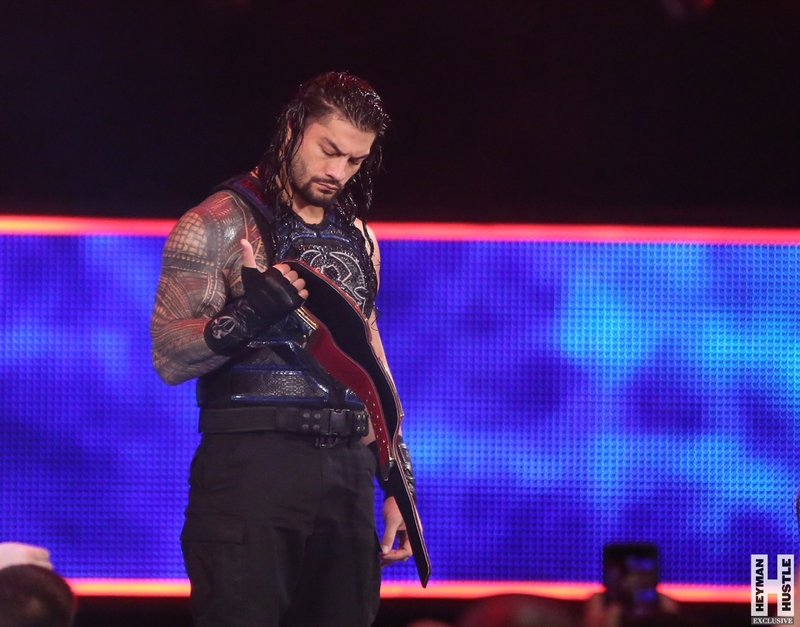 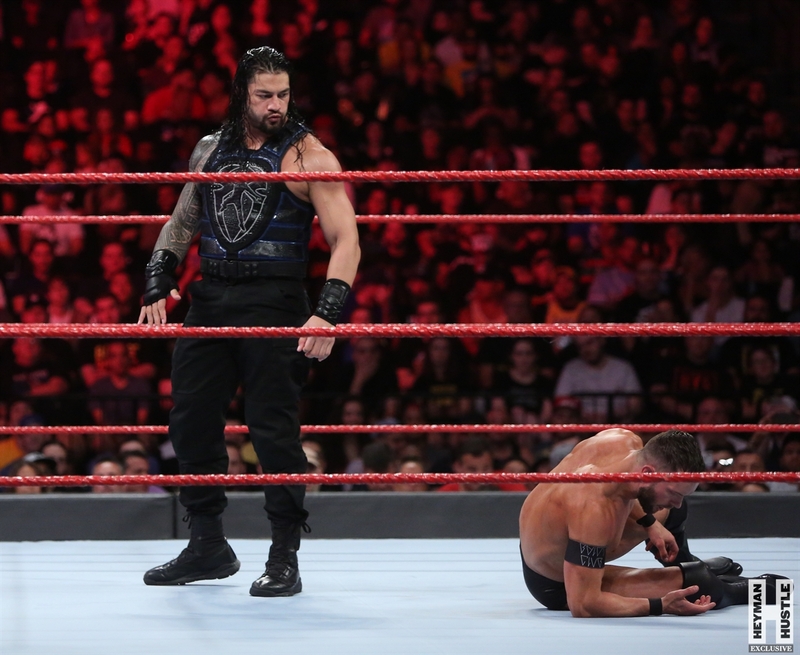 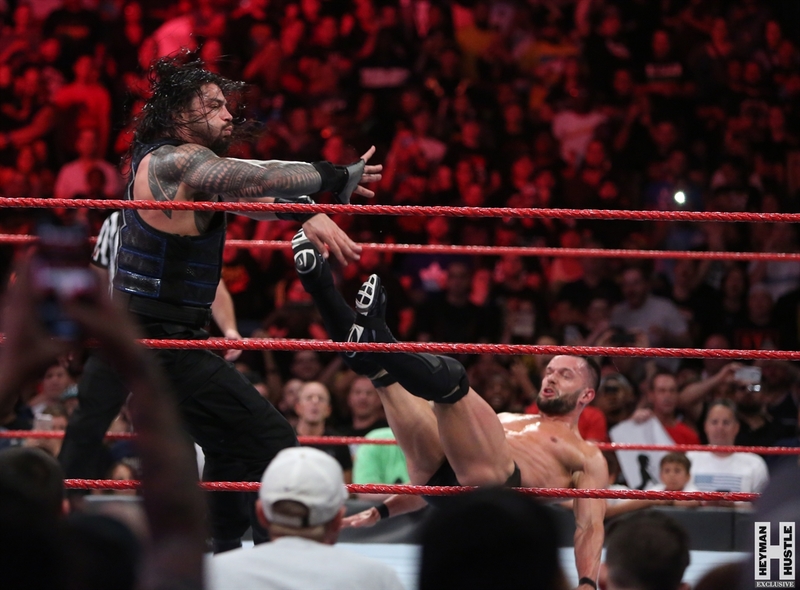 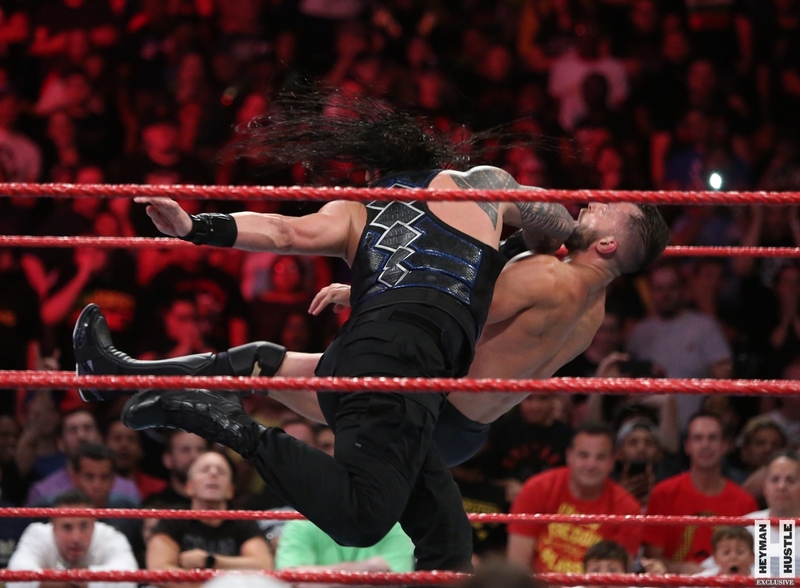 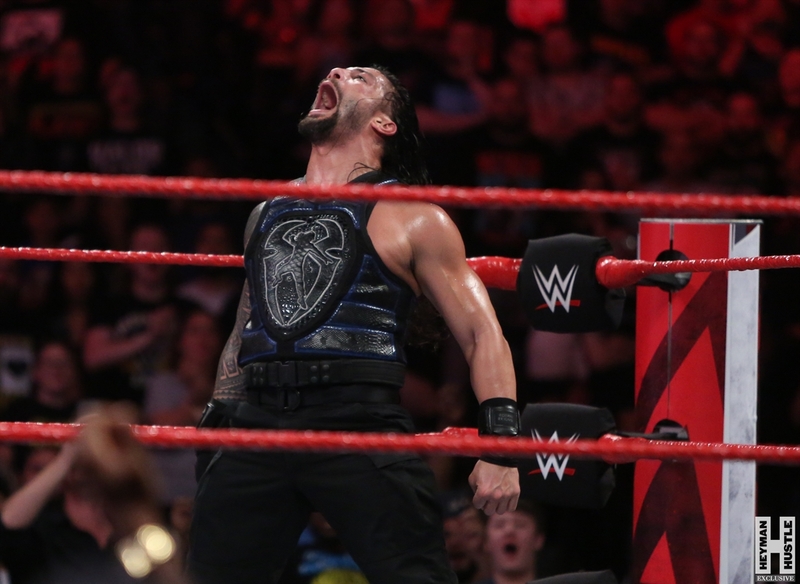 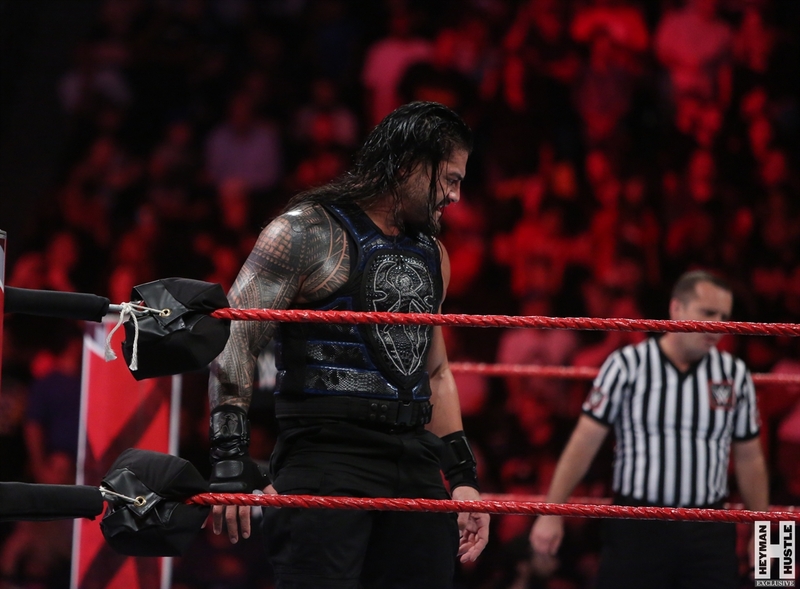 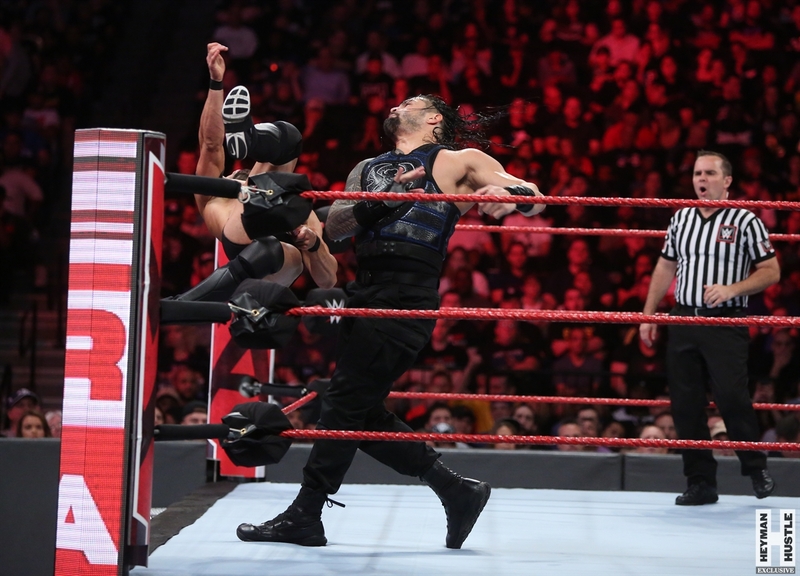 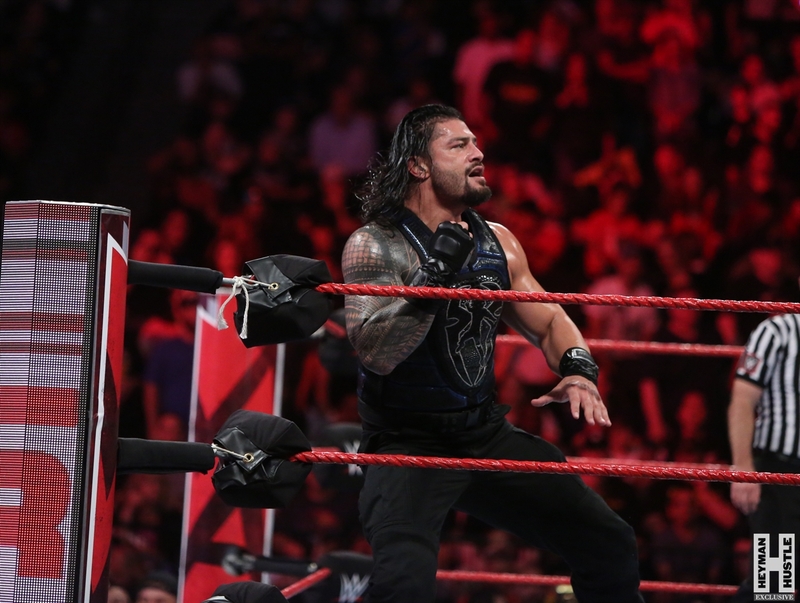 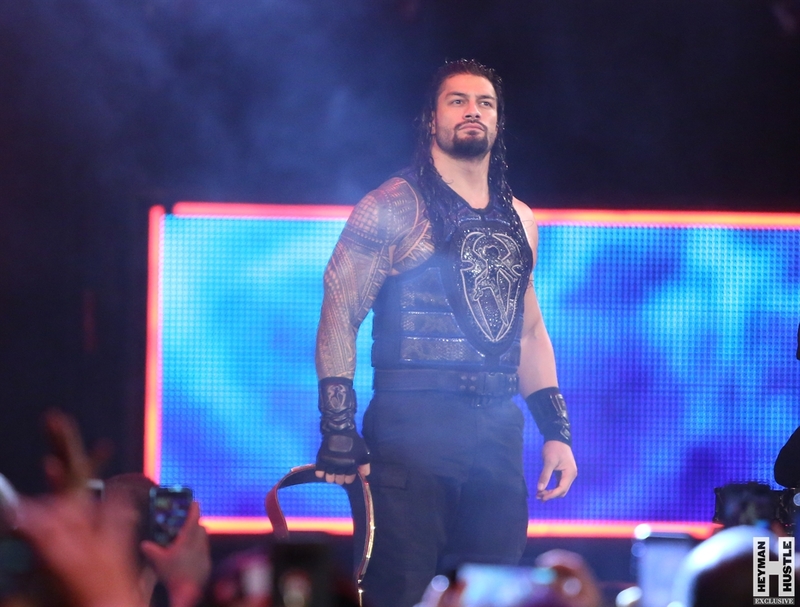 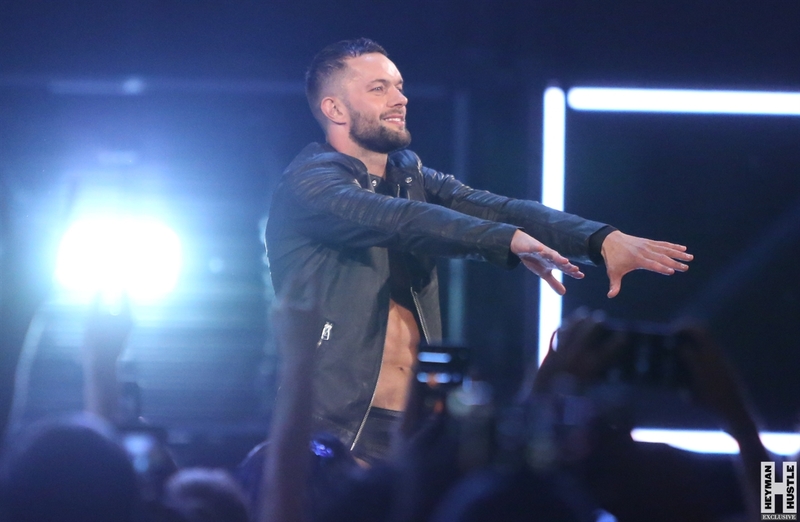 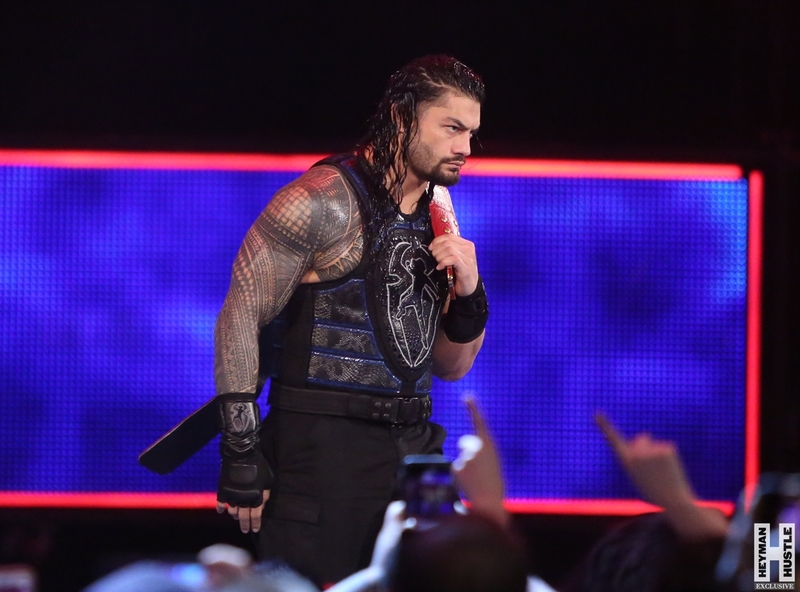 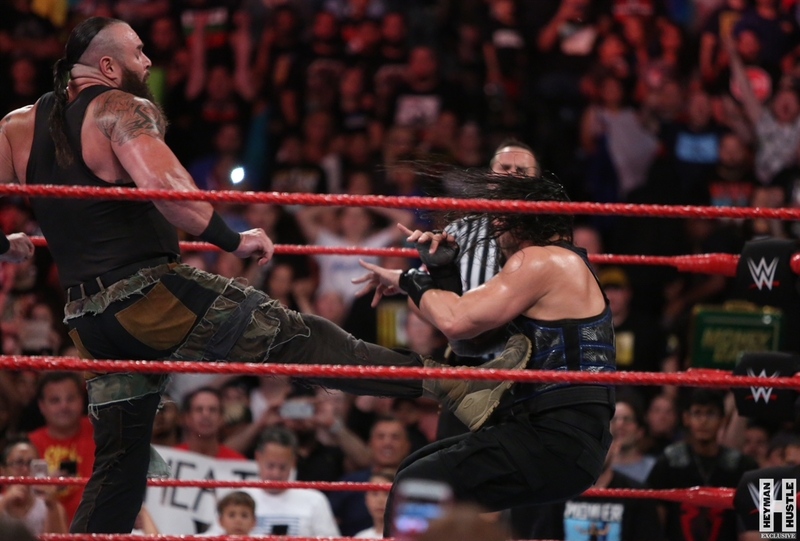 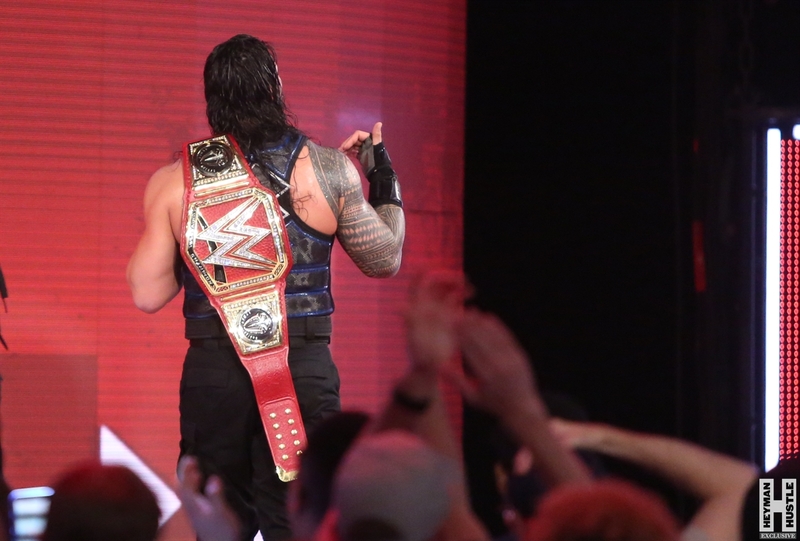 Reigns opened Monday Night RAW with a challenge to Finn Balor, against whom Reigns wanted to defend the title. 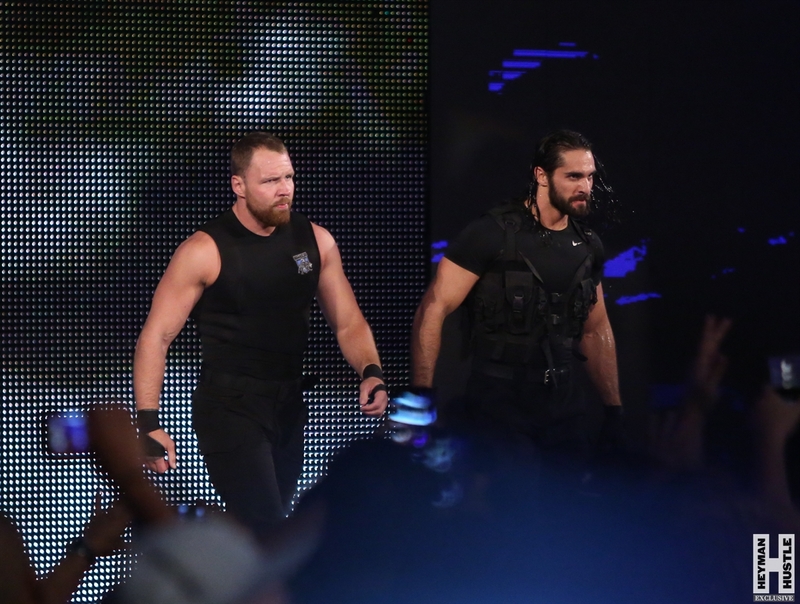 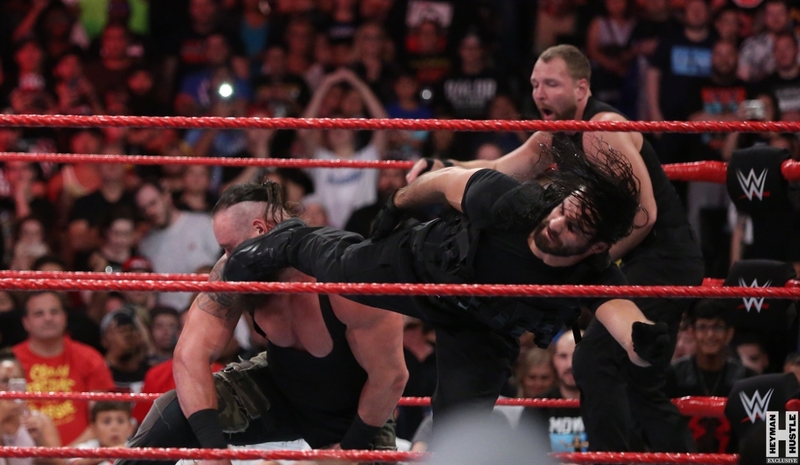 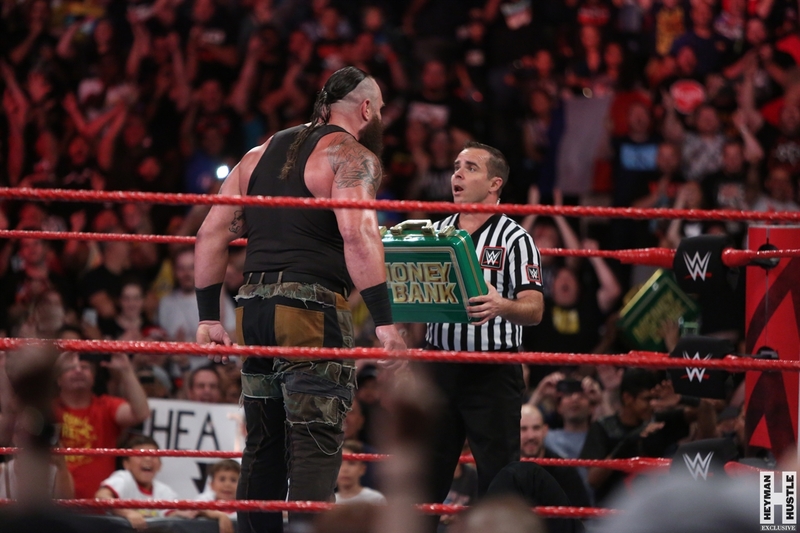 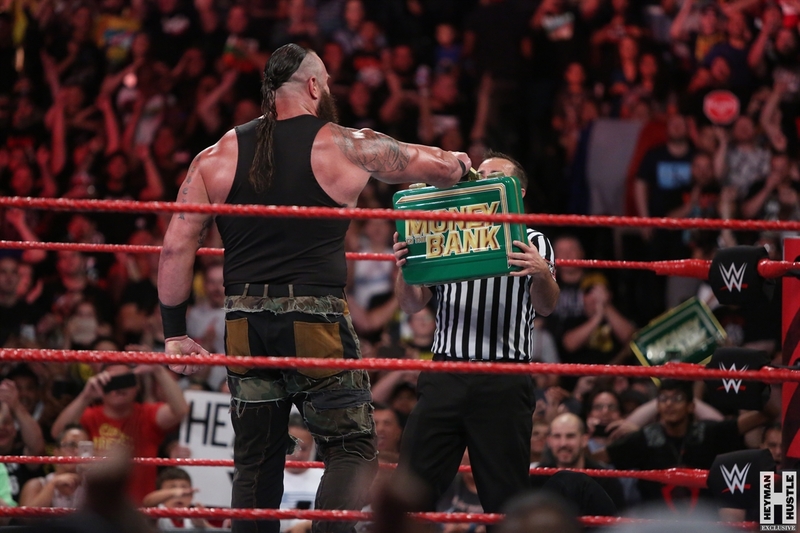 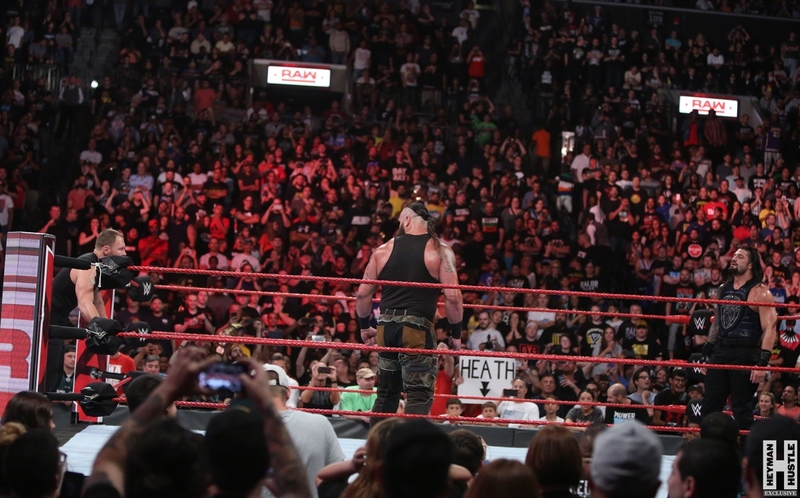 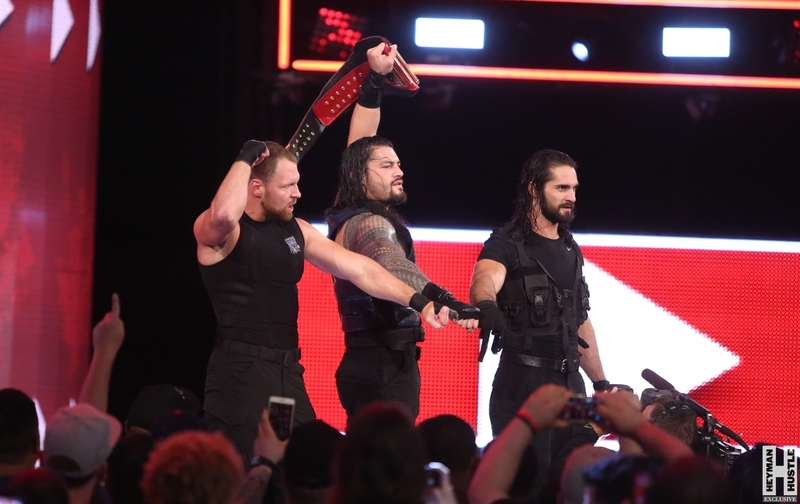 By the end of the night, Braun Strowman was ready to cash in his Money in the Bank contract, only to be stopped by Seth Rollins and Dean Ambrose, as all 3 members of The Shield reunited to fend off Strowman’s onslaught. 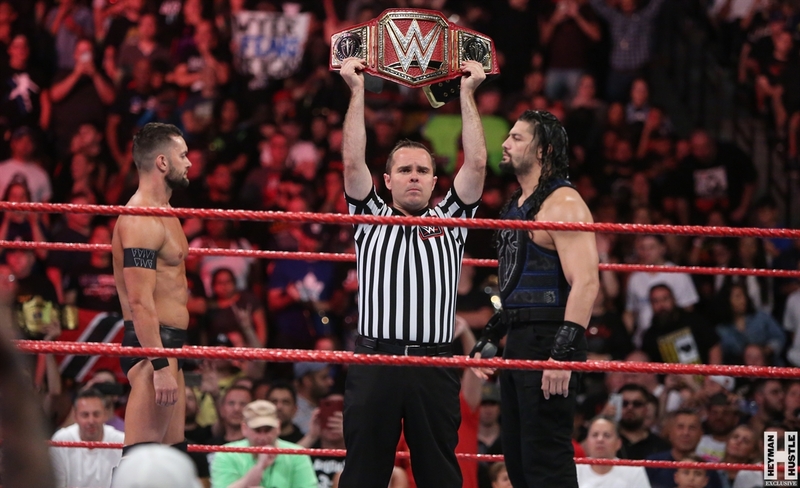 The Heyman Hustle‘s very own Bruno Silveira was on hand to provide EXCLUSIVE coverage of this historic moment, and you’re more than welcome to join the conversation by following the Hustle on Twitter HERE or by hitting LIKE on our hyper-interactive Facebook page HERE!